Hey Everyone! 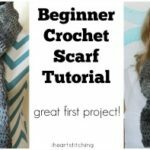 I am so excited to share this beginner friendly, easy crochet infinity scarf. You can double or triple wrap the scarf and adjust the size if you’d like it smaller or want to make it for a child. 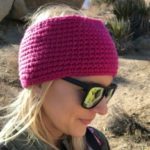 I use my favorite half double crochet stitch! AKA hdc in the U.S. or htr in the U.K. Find the instructions below and full video tutorial, happy stitching! 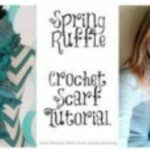 If you love beginner friendly crochet, check out these posts: How to Crochet a Messy Bun Beanie and Easy Baby Blanket Crochet Tutorial! Continue around until desired size reach (Mine was 8 rows). Quick Video on my facebook page to help you avoid the twist that can happen. 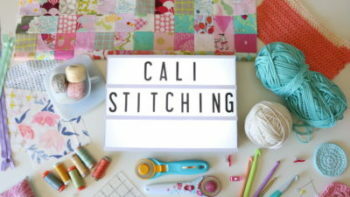 Post by I Heart Stitching: Melanie Ham Designs. *This post contains affiliate links, they are of no extra cost to you but help me purchase more supplies for videos! Thank you for the support in this way. Question: Can you make this scarf using a non-bulky yarn? I know that it would look different BUT technically would the directions stay the same? Say using a yarn that suggests a 5.5 mm crochet hook? Thank you for your time and attention. I love ur crocheting projects and I love ur crocheting channel! I love crocheting! I’ve made several of these and everyone loves them!! Thanks so much!! I was wondering if you’ve tried the foundation hdc row as your first row. Instead of making a huge long row of chains, you make the hdc and chain all at once. When you reach the length that you want, your first row is done and it is very easy to join into the circle. I’ve been making dc infinity scarves and when I learned this way to begin, it made life so much easier and so much faster. When you weave the ends in, using a needle, go forward through 3 or 4 stitches, go back under the stitches you’ve just done, skipping the last one, then again skipping the last one, go back under the stitches. This really locks the stitching in and you don’t have to use a knot, although I do both. Thanks for the great tutorials and videos. Love this scarf. Did your scarf stretch when you were crocheting? I measured 70 inches in my chain which was 140 chains, but it is longer now that I have a few rows made. Thank you for this comment! Being a beginnger. I did not know how many chains equaled out to 70 inches! 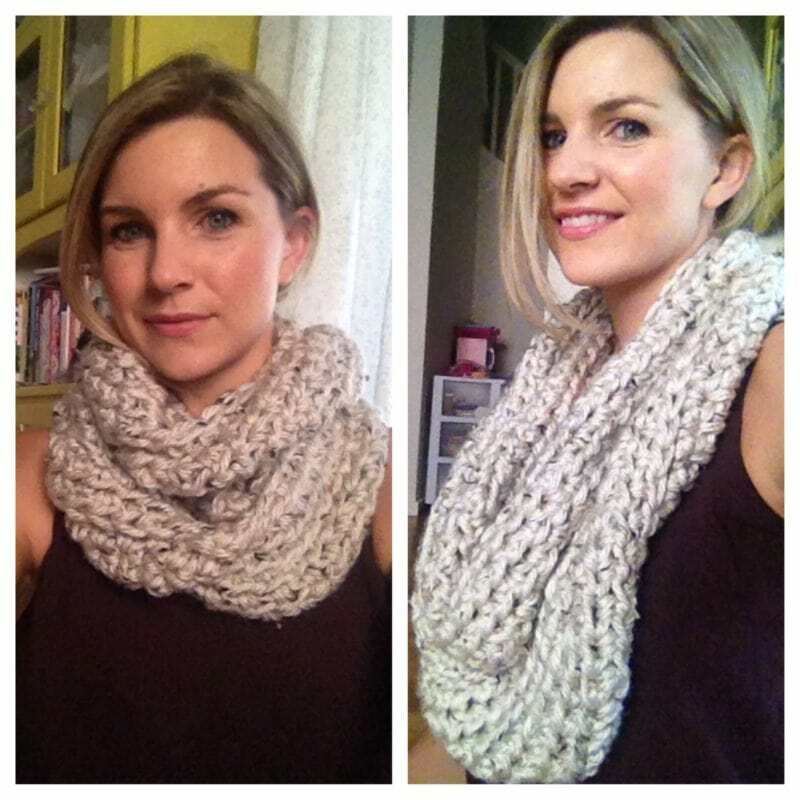 Can you give some yarn suggestions for a very very soft , drappey bulky yarn for your infinity scarf? I would like the finished product to look soft and drippy. Thanks. Love your tutorial on your infinity scarf. I am a beginner and have successfully made your baby blankets using your tutorials. I’m onto infinity scarves! Not sure if I’m using the right lingo, but here goes. When watching you start to crochet after getting your desired length, you did a hdc by pulling the yarn thru once, wrapping again and pulling through all three loops. However, towards the end of the video, you skipped the first part and only pulled the hook through the three loops and continued on. Is that a different stitch? You called it a hdc, but didn’t do the first part as you did in the beginning. Thanks for helping me with this! On the easy infinity scarf, I was wondering if you should chain 2-3 after you join the chain stitches into the circle? This would act as your first stitch. The continue on with the hdc. When I followed your instructions in the video, the rows don’t look even or squared up. Maybe that’s how it is supposed to be. I am sure it is not noticeable when you are wearing it. But I was wondering. Thanks! 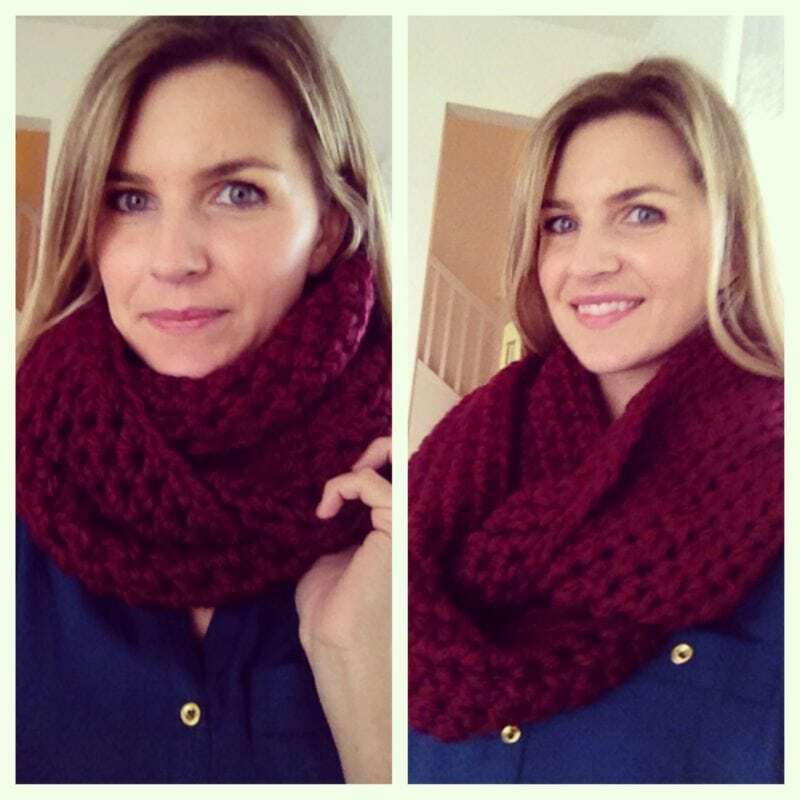 How wide would you recommend for the Easy Crochet Infinity Scarf? Also, thought I’d pass on this idea for your viewers. My wool is pretty fuzzy so the individual stitches are not that easy to see. In order to know whether or not my first row was twisted I ran a piece of wool in a contrasting colour through the bottom of the chains. When I joined the ends together it was obvious to me whether or not it was twisted. Every time I so this it gets twisted. Help! Good luck, I’m just finished with mine! I HAVE TRIED THIS SEVERAL TIMES AND IT TWIST EVERY TIME. Any suggestions to stop that would be appreciated. I’ve tried repeatedly and there’s a twist. Each time I’m more careful, and each time there’s still a twist. I have no idea where I’m going wrong! If I end up getting my chain twisted, is it going to ruin the piece in the long run? Trying to do the infinity scarf. I did 72 chains; is 72 chains the same as 70 inches. How do you measure to get 70 inches. Why is it My chain row is much tighter than the rest no matter what I try ? I would love to get the instructions for the Infinity Scarf written down. Is that a possibility? Loved the turorial! Can’t wait to make this scarf! 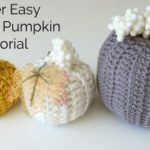 Thank you for this wonderful tutorial– I made two this weekend already! I featured you on my blog this week with proper link back! 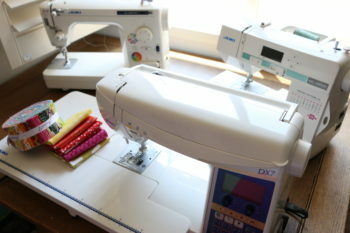 Ove these quick & easy projects! totally. I did it in no time at all!